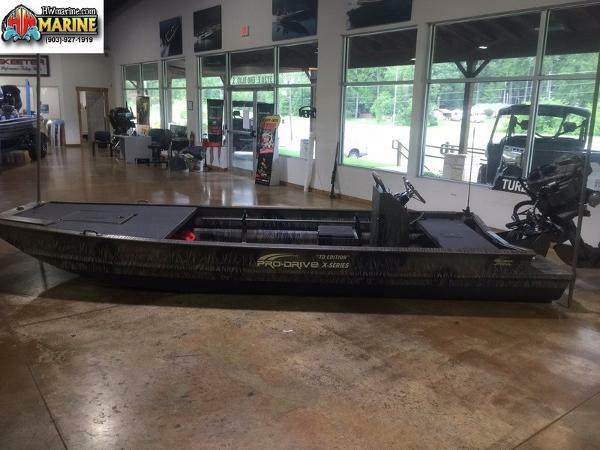 2017 Pro-Drive 18x48 X-Series STOCK LIMITED 2017 Pro-Drive 18x48 X-Series This boat comes with: Push Pole 37 HP hydrolic trim & reverse REMOVABLE GRAB BAR When we introduced our Pro-Drive “X” Series boat line, it was our goal to design and build a shallow draft boat to complement shallow draft outboards. After running many different boat designs, we discovered that a tapered chime boat runs higher and drafts less water than the typical round or semi v style boats in every condition which, in turn, produces better speeds and higher load carrying capabilities. The tapered chime and smooth bottom gives Pro-Drive owners the best maneuvering capability when running at idle or low speeds. Therefore, the “X” Series boat line has emerged. Knowing that hunters and fisherman run in areas where they will have to cross logs, stumps and bottoms which can damage the bottom of most light duty hulls and because of our commitment to quality, Pro-Drive constructs all of our boats with 5086 grade aluminum which is 1/8? thick.At Pro-Drive, our team designers and builders have extensive knowledge and experience with building airboat hulls and we know that in extreme environments, a boat that has ribs running across the width of its bottom tends to buckle in between the ribs. Therefore, Pro-Drive runs 1? x 2? rectangular ribs across the length (front to back) of all our boats. That along with our 2? x 2? square tubing bracing the floor and side walls make our hulls almost indestructible. 2017 Pro-Drive 17x48 X-SERIES STOCK LIMITED 2017 Pro-Drive 17x48 X-Series PRICE IS FOR BOAT, MOTOR, AND TRAILER!!! 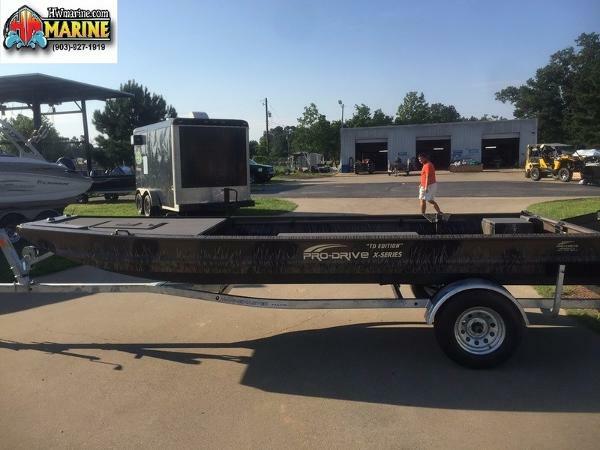 17 FT LONG 48" WIDE HYDROLIC TRIM AND REVERSE REMOVABLE GRAB BAR PUSH POLE PRE WIRED FOR LIGHT BAR AND TROLLING MOTOR BATTERY TRAY 2 FUEL TANKS When we introduced our Pro-Drive “X” Series boat line, it was our goal to design and build a shallow draft boat to complement shallow draft outboards. After running many different boat designs, we discovered that a tapered chime boat runs higher and drafts less water than the typical round or semi v style boats in every condition which, in turn, produces better speeds and higher load carrying capabilities. The tapered chime and smooth bottom gives Pro-Drive owners the best maneuvering capability when running at idle or low speeds. Therefore, the “X” Series boat line has emerged. Knowing that hunters and fisherman run in areas where they will have to cross logs, stumps and bottoms which can damage the bottom of most light duty hulls and because of our commitment to quality, Pro-Drive constructs all of our boats with 5086 grade aluminum which is 1/8? thick. At Pro-Drive, our team designers and builders have extensive knowledge and experience with building airboat hulls and we know that in extreme environments, a boat that has ribs running across the width of its bottom tends to buckle in between the ribs. Therefore, Pro-Drive runs 1? x 2? rectangular ribs across the length (front to back) of all our boats. That along with our 2? x 2? square tubing bracing the floor and side walls make our hulls almost indestructible. 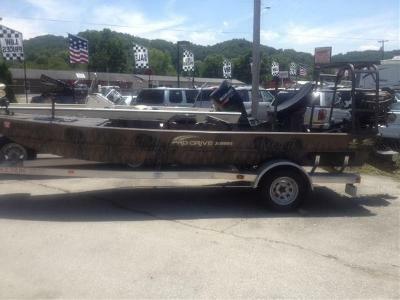 2017 Pro Drive 18x48 TDX Series STOCK LIMITED 2017 Pro Drive 18x48 TDX Series 18X48 TDX SERIES COMES WITH 2 - 6 GAL FUEL CELLS PRE WIRED FOR TROLLING MOTOR AND LIGHTBAR PUSH POLE REMOVABLE GRAB BAR GATOR GLYDE ON HULL/SUPER SLICK Pro-Drive Boats are known for their strength, durability, and performance, along with their reputation for detailed craftsmanship. Our boats are designed to plane off easily and run close to the waters surface even when powered by the low horsepower engines that are available in the mud motor industry. This same hull design went into the design of the new Pro-Drive “TDX” Series. 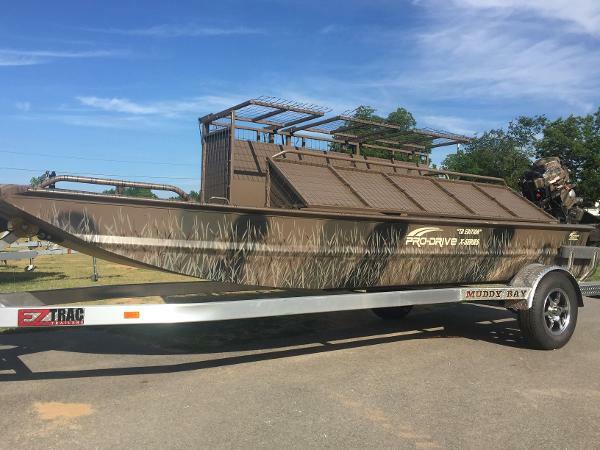 The “TDX” (Timber Deck) Series boat was designed specifically at request of hunters that commonly hunt flooded timber, making exit and enter into the boat easier, as they generally walk to their honey holes. It also helps for exit and entry for their dogs. 2017 Pro-Drive 18x54 TDX STOCK LIMITED 2016 Pro Drive 18x54 TDX 18X54 CENTER CONSOLE... JUST ARRIVED!! GREAT FINANCING AVAILABLE!!! 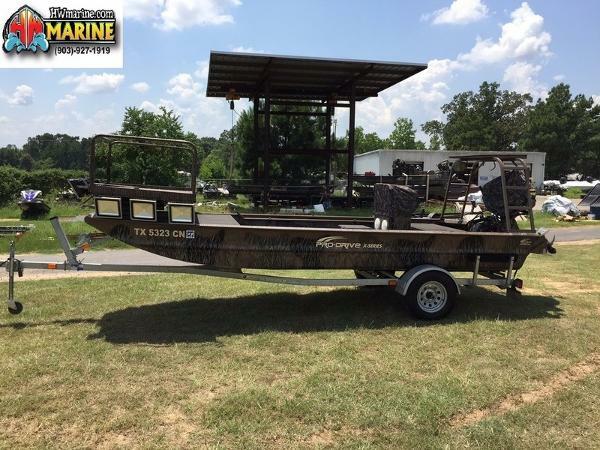 PRICE INCLUDES TRAILER!! THIS BOAT INCLUDES:Hydro-turfSpud kitPush PoleRear Fish Deck2 Fuel TanksPre-wired for Trolling motorPre Wired for light barGator Glyde coating on bottom of boatBoat is 18' in lengthBoat is 54" in width at bottom of hullPro-Drive Boats are known for their strength, durability, and performance, along with their reputation for detailed craftsmanship. Our boats are designed to plane off easily and run close to the waters surface even when powered by the low horsepower engines that are available in the mud motor industry. This same hull design went into the design of the new Pro-Drive “TDX” Series.The “TDX” (Timber Deck) Series boat was designed specifically at request of hunters that commonly hunt flooded timber, making exit and enter into the boat easier, as they generally walk to their honey holes. It also helps for exit and entry for their dogs.The “TDX” Series are offered in 48?, 54? and 60? models and 18' and 20' lengths’. This includes the 16? Timber Deck. 2016 Pro-Drive 18x54 TDX STOCK LIMITED 2016 Pro Drive 18x54 TDX 18X54 CENTER CONSOLE... JUST ARRIVED!! GREAT FINANCING AVAILABLE!!! PRICE INCLUDES TRAILER!! 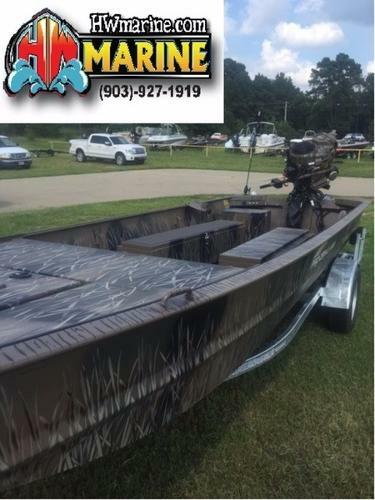 THIS BOAT INCLUDES:Hydro-turfSpud kitPush PoleRear Fish Deck2 Fuel TanksPre-wired for Trolling motorPre Wired for light barGator Glyde coating on bottom of boatBoat is 18' in lengthBoat is 54" in width at bottom of hullPro-Drive Boats are known for their strength, durability, and performance, along with their reputation for detailed craftsmanship. Our boats are designed to plane off easily and run close to the waters surface even when powered by the low horsepower engines that are available in the mud motor industry. This same hull design went into the design of the new Pro-Drive “TDX” Series.The “TDX” (Timber Deck) Series boat was designed specifically at request of hunters that commonly hunt flooded timber, making exit and enter into the boat easier, as they generally walk to their honey holes. It also helps for exit and entry for their dogs.The “TDX” Series are offered in 48?, 54? and 60? models and 18' and 20' lengths’. This includes the 16? Timber Deck. 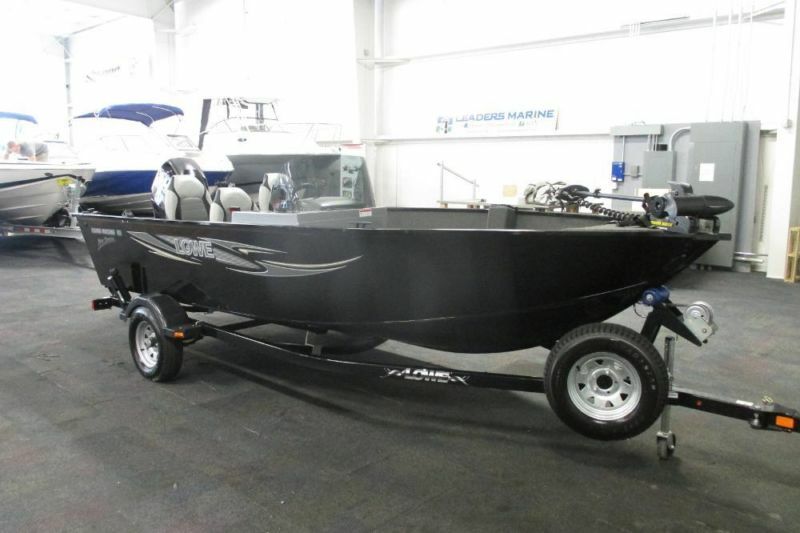 2013 Pro-Drive 1848X The goal with these X series boats was to build a shallow draft boat to complement shallow draft outboard. They discovered that a tapered chime boat runs higher and drafts less water than the typical round or V styles. This produces better speeds and higher load carrying capabilities! This Pro-Drive 1848X is loaded and ready to go, including; Two 6 gallon gas tanks, 7”X7” pedestal seat base, accessory plug, airboat style stick steer seat, battery tray, camo motor, custom camo paint, extended deck, gas tank bracket, new style spotlight, reverse kit van auto remote, spud kit, stick steer platform & pivot, and a trolling motor plug set!In addition, this boat features an X36 Pro-Drive motor and aluminum trailer!!!! GUARENTEED LOWEST PRICING ON ALL PRO-DRIVE MODELS IN STOCK!!! class="btn btn-large visible-phone" href="#EmbeddedContactForm" data-toggle="modal">Contact Seller 2014 MasterCraft X-Series X14V, We proudly present the MasterCraft ProStar 214v. This V-Drive phenom turns convention on its head by moving the engine to the back of the boat?which creates space while keeping the wakes soft and low. The ProStar 214v is the only V-Drive boat to receive three-event World Record certification from USA Waterski. With classic ProStar smooth wakes and room for 11, the 214v invites your family to insist on your own new standards for comfort and performance. 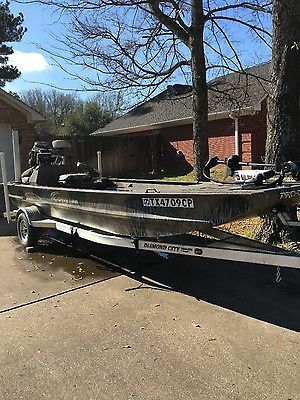 Aluminum V bottom Bass boat. Coastal Series has vinyl cockpit liner instead of carpet. Low use on 60HP Mercury outboard. Upgraded Trolling motor Minn Kota V2 Power Drive Copilot with handheld remote control on a lanyard. Upgraded GPS/Sonar Lowrance 520c and additional Fishfinder (Lowrance X37) mounted on bow with built in transducer on trolling motor. New starting battery and new trolling motor battery. Trailer has folding tongue to reduce length to fit in garage. Trailer has a spare tire mounted. Comes with custom color coordinated cover. Nice Upgraded package. Has a little wrinkle at hinge on the rear storage boxes. Doesn't affect the operation. 2 small chips in paint on bow near trolling motor. Otherwise in awesome shape for an 8 year old boat. Kept in carport and covered first 4 years and in a garage the past 4 years. 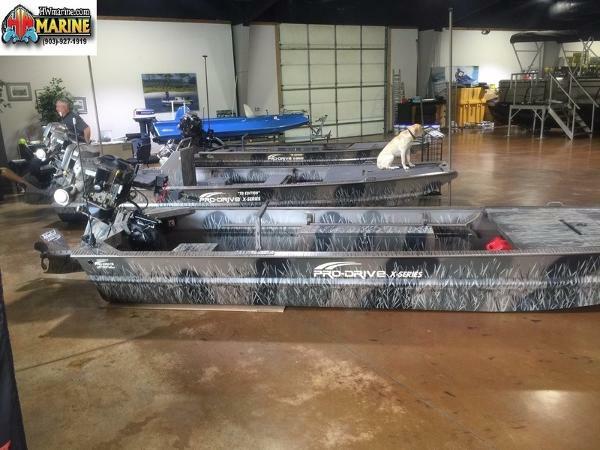 2013 Lowe 165 Fishing Machine Pro Series SC With Only 13 Engine Hours! 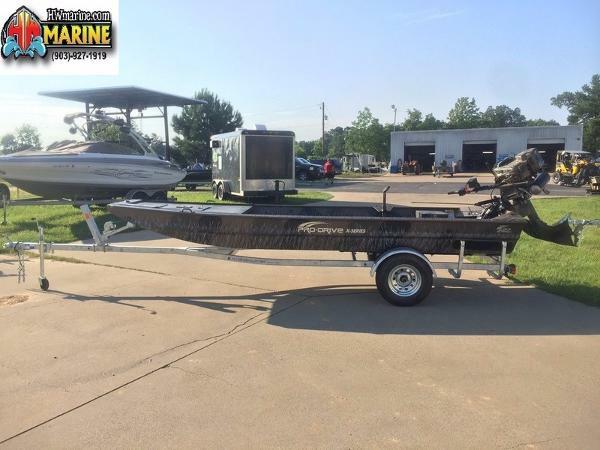 NICE 2013 LOWE 165 PRO SC FISHING MACHINE WITH ONLY 13 ENGINE HOURS AND MERCURY ENGINE WARRANTY THRU 5-11-2016! 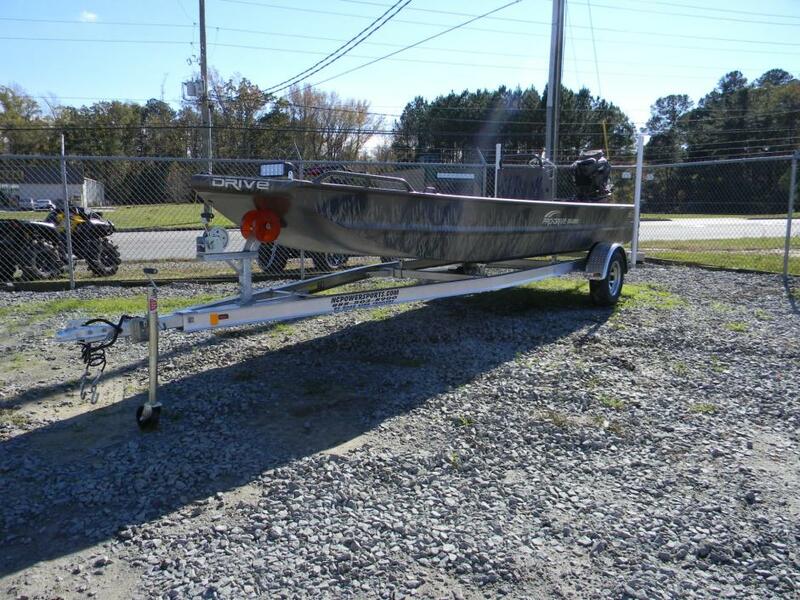 A 60 hp Mercury 4-stroke EFI outboard powers this aluminum deep-V fishing boat. 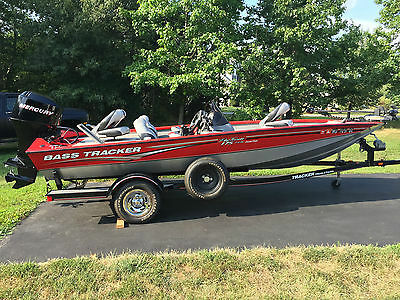 Features include: boat cover, MinnKota Power Drive V2 55 lb thrust 12-volt trolling motor, dash Lowrance X4-Pro depth/fish finder, Cabela’s Pro Series 8-amp/2-bank on board battery charger, side console w/windshield, gauges including; tachometer, speedometer, fuel, and trim; navigation/anchor lights, courtesy/interior light, bilge pump, electric horn, 12-volt power outlet, raised bow fishing deck w/aerated livewell and storage, center bow rod locker w/rod tubes, (2) movable swivel fishing chairs w/5 in-floor bases, driver’s swivel seat w/slider, port cockpit rod locker, starboard cockpit storage, raised stern fishing platform w/storage compartment and large aerated livewell w/manual and auto fill, stern battery storage, transom boarding ladder, (4) mooring cleats, beverage holders, marine cranking battery, deep cycle trolling motor battery, fire extinguisher, 26-gallon fuel tank and 6 person carrying capacity. Also included is a Karavan bunk trailer including; swing tongue, 13” wheels, composite fenders w/steps, side centering rollers, swivel jack, spare tire w/mounting bracket, and tie down straps. The package is in excellent overall condition with minimal wear. There are minor cosmetic scuffs/scratches on the exterior and carpet wear near the livewell lid (see pics/video). The boat has been inspected by our factory-trained technicians and is mechanically sound. Trades will be considered and delivery and competitive financing rates/terms are available. Approximate payment is $194/mo. for 84 mo. with 20% down (WAC). Leaders RPM is one of the largest marine and powersports dealers in the Midwest with over 70,000 sq ft of showroom, parts, and service under one roof located in Kalamazoo, MI. Price is plus sales tax/fees and is subject to change without notice. For more information, please call toll free 866-572-1051. Additional photos and video are available at www.leadersrpm.com.